YAO Lin, LIU Yi, LI Xinxin, LIU Hong. Chinese named entity recognition via word boundarybased character embedding[J]. CAAI Transactions on Intelligent Systems, 2016, 11(01): 37-42. Abstract: Most Chinese named entity recognition systems based on machine learning are realized by applying a large amount of manual extracted features. Feature extraction is time-consuming and laborious. In order to remove the dependence on feature extraction, this paper presents a Chinese named entity recognition system via word boundary based character embedding. The method can automatically extract the feature information from a large number of unlabeled data and generate the word feature vector, which will be used in the training of neural network. Since the Chinese characters are not the most basic unit of the Chinese semantics, the simple word vector will be cause the semantics ambiguity problem. According to the same character on different position of the word might have different meanings, this paper proposes a character vector method with word boundary information, constructs a depth neural network system for the Chinese named entity recognition and achieves F1 89.18% on Sighan Bakeoff-3 2006 MSRA corpus. The result is closed to the state-of-the-art performance and shows that the system can avoid relying on feature extraction and reduce the character ambiguity. BENDER O, OCH F J, NEY H. Maximum entropy models for named entity recognition[C]//Proceedings of 7th Conference on Natural Language Learning at HLT-NAACL. Stroudsburg, USA, 2003, 4:148-151. WHITELAW C, PATRICK J. Named entity recognition using a character-based probabilistic approach[C]//Proceedings of CoNLL-2003. Edmonton, Canada, 2003:196-199. CURRAN J R, CLARK S. Language independent NER using a maximum entropy tagger[C]//Proceedings of the 7th Conference on Natural Language Learning at HLT-NAACL. Stroudsburg, USA, 2003, 4:164-167. CHIEU H L, NG H T. Named entity recognition:a maximum entropy approach using global information[C]//Proceedings of the 19th International Conference on Computational Linguistics. Stroudsburg, USA, 2002, 1:1-7. KLEIN D, SMARR J, NGUYEN H, et al. Named entity recognition with character-level models[C]//Proceedings of the seventh conference on Natural language learning at HLT-NAACL. Stroudsburg, USA, 2003, 4:180-183. FLORIAN R, ITTYCHERIAH A, JING Hongyan, et al. Named entity recognition through classifier combination[C]//Proceedings of the 7th Conference on Natural Language Learning at HLT-NAACL. Stroudsburg, USA, 2003, 4:168-171. MAYFIELD J, MCNAMEE P, PIATKO C. Named entity recognition using hundreds of thousands of features[C]//Proceedings of the 7th Conference on Natural Language Learning at HLT-NAACL. Stroudsburg, USA, 2003, 4:184-187. KAZAMA J, MAKINO T, OHTA Y, et al. Tuning support vector machines for biomedical named entity recognition[C]//Proceedings of the ACL-02 Workshop on Natural Language Processing in the Biomedical Domain at ACL. Stroudsburg, USA, 2002, 3:1-8. SETTLES B. Biomedical named entity recognition using conditional random fields and rich feature sets[C]//Proceedings of the International Joint Workshop on Natural Language Processing in Biomedicine and its Applications (NLPBA). Geneva, Switzerland, 2004:104-107. WONG F, CHAO S, HAO C C, et al. 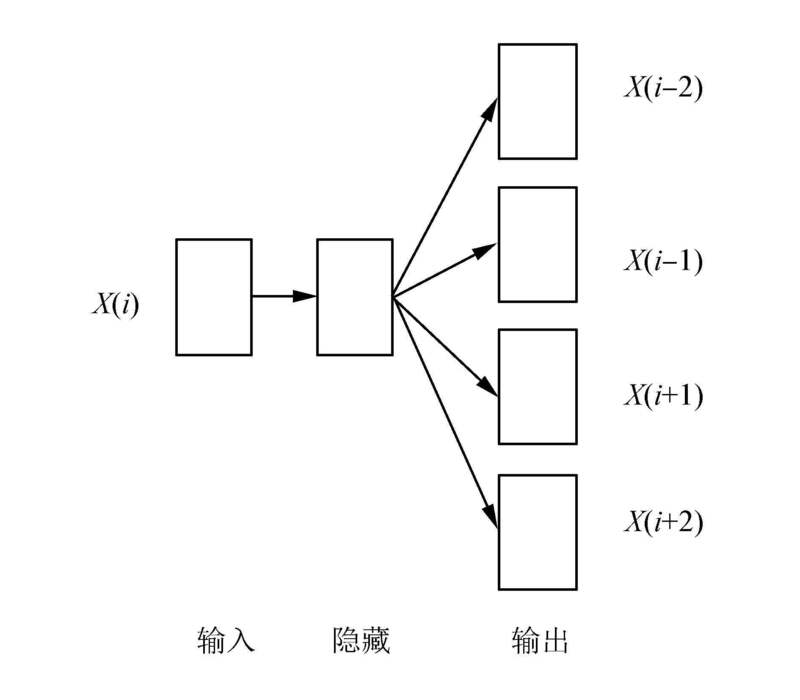 A Maximum Entropy (ME) based translation model for Chinese characters conversion[J]. Journal of advances in computational linguistics, research in computer science, 2009, 41:267-276. YAO Lin, SUN Chengjie, WANG Xiaolong, et al. Combining self learning and active learning for Chinese named entity recognition[J]. Journal of software, 2010, 5(5):530-537. COLLOBERT R. Deep learning for efficient discriminative parsing[C]//Proceedings of the 14th International Conference on Artificial Intelligence and Statistics (AISTATS). Lauderdale, USA, 2011:224-232. BENGIO Y, DUCHARME R, VINCENT P, et al. A neural probabilistic language model[J]. Journal of machine learning research, 2003, 3(6):1137-1155. COLLOBERT R, WESTON J, BOTTOU L, et al. Natural language processing (almost) from scratch[J]. Journal of machine learning research, 2011, 12(1):2493-2537. SCHWENK H. Continuous space language models[J]. Computer speech & language, 2007, 21(3):492-518. MIKOLOV T, KARAFIÁT M, BURGET L, et al. Recurrent neural network based language model[C]//Proceedings of 11th Annual Conference of the International Speech Communication Association (INTERSPEECH). Makuhari, Chiba, Japan, 2010, 4:1045-1048. MNIH A, TEH Y W. A fast and simple algorithm for training neural probabilistic language models[C]//Proceedings of the 29th International Conference on Machine Learning (ICML-12). Edinburgh, Scotland, UK, 2012:1751-1758. BOTTOU L. Stochastic gradient learning in neural networks[C]//Proceedings of Neuro-Nîmes 91. Nimes, France, 1991. TURIAN J, RATINOV L, BENGIO Y. Word representations:a simple and general method for semi-supervised learning[C]//Proceedings of the 48th Annual Meeting of the Association for Computational Linguistics. Uppsala, Sweden, 2010:384-394. MIKOLOV T, YIH W T, ZWEIG G. Linguistic regularities in continuous space word representations[C]//Proceedings of the 2013 Conference of the North American Chapter of the Association for Computational Linguistics:Human Language Technologies. Atlanta, Georgia, 2013:746-751. MIKOLOV T, SUTSKEVER I, CHEN Kai, et al. Distributed representations of words and phrases and their compositionality[C]//Advances in Neural Information Processing Systems. California, USA, 2013. LEVOW G A. The third international Chinese language processing bakeoff:word segmentation and named entity recognition[C]//Proceedings of the 5th SIGHAN Workshop on Chinese Language Processing. Sydney, Australia, 2006:108-117. CAAI Transactions on Intelligent Systems, 2016, 11(01): 37-42.